Professional rug repairs are the smartest way to keep your rugs looking great. Replacing a rug can be expensive and not have the same look and feel of your current rug. Professional rug repairs can make your rug look great again and save you the cost of buying a completely new rug. 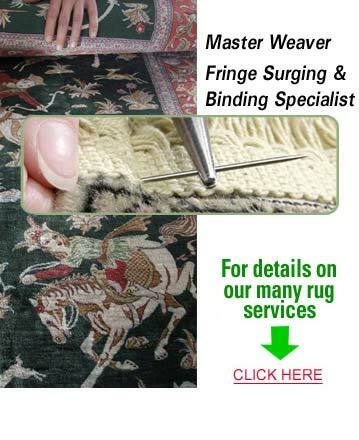 When choosing a rug repair company, you want to choose one with experience that you can trust. KIWI Services in Berkeley Lake has 30 years of rug repair experience and over half a million happy customers. KIWI loves happy customers. We want you to always be 100% satisfied with your KIWI cleaning, which is why we offer a one-year rug repair guarantee on all of the rugs we service. If you should run into any issues, give us a call and we will be back out to perform a complimentary re-do. KIWI also offers free pick up and delivery on all of the rugs we service. Give us a call today to schedule a rug repair appointment.